Sorry for being tardy with the update today. I had an 8-hour drive in biblical rains until I reached my final destination - Ottawa. So, after the Tigers, finally, won a game against the Red Sox, they followed it up by losing to the Yankees 9-4. 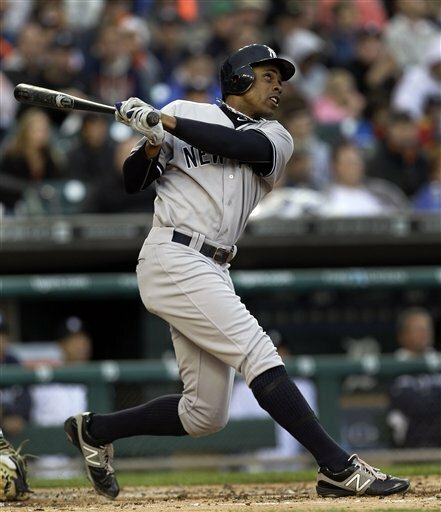 Former Motown favourite Curtis Granderson hit a grand slam into the Comerica Park bleachers. A-Rod hit a 2-run dinger too. Lefty Casey Crosby was called-up from Triple-A Toledo to start in place of the injured Doug Fister. In his big league debut Crosby pitched 3 1/3 innings, allowed 4 hits, 6 runs, 4 walks and added 3 Ks. He took the loss. The New York Mets have been around since 1962. 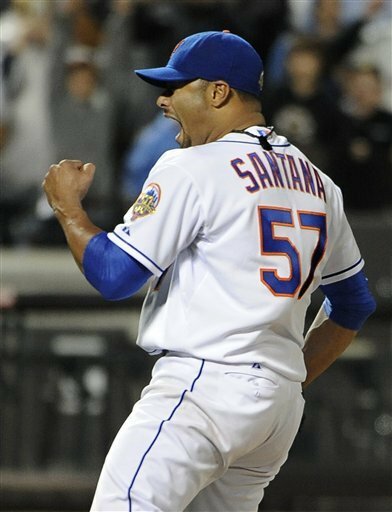 Tonight, Johan Santana pitched the first no-hitter in Mets' history. And, even better, he did it against the Cardinals. Santana threw a career-high 134 pitches with 5 walks and 8 Ks.